Children and adolescents of especially high intellect often thrive best in educational environments and contexts tailored to their needs. 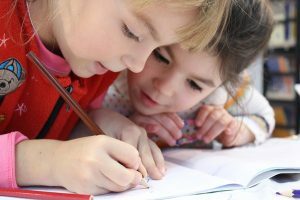 Perhaps you are seeking entrance into a giftedness program, or you may just be wondering if your child is intellectually gifted. This evaluation provides parents and educators a view of your child’s intellectual abilities which helps to guide educational and extracurricular opportunities. We utilize the testing tools that educators and schools are expecting, and we can communicate results quickly. The format of this evaluation is different from other evaluations that we conduct, in that Giftedness Evaluations are much more brief, and conducted in just one visit. After a brief 20-minute screening interview, your child will engage in approximately 60-90 minutes of testing tasks. After these tasks are complete, results and your report are ready in just one hour and you are able to take the documentation of test results with you. If you prefer, we can forward this documentation to the school of your choice, as well as your child’s pediatrician.